Have you come to a Shabbat B’yachad yet? 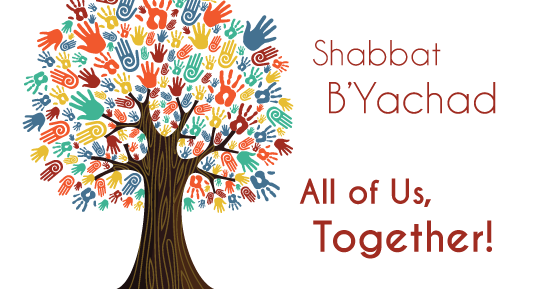 If you have, then you already know how much fun they are for all-ages; a Shabbat story from the Rabbis, Shabbat songs, and a delicious meal with soup prepared by our community cooks… Join us! Our next one is Saturday, January 12, 2019. Relax and enjoy a Shabbat meal from our community kitchen! No need to cook or bring anything, but if you’d like to bring something to add to the meal (vegetarian and no nuts, please), you can Sign up here.